Steve, a 24-year-old man presents with frequent urination, thirst, fatigue, blurred vision and a weight loss of 18 pounds over the preceding 3 months. He claims he has been drinking a lot of sugar-containing soda drinks lately. There is no family history of diabetes. On physical examination, he is very thin with decreased body fat and some muscle wasting. His blood sugar is elevated to 36 mmol/L, which is extremely high and likely indicates Type 1 diabetes. There is no anion gap (acidosis) documented with his electrolytes and creatinine (kidney function) are normal with urinary ketones being trace positive. Steve needs medication to lower his blood glucose levels immediately. He needs to see an Endocrinologist who can make a proper diagnosis and decide whether he needs oral agents or insulin treatment. Steve should also see a Diabetic Nurse Educator to learn about diabetes, self-monitoring blood glucose levels, how to inject insulin properly if needed and the prevention and treatment of low blood sugars. Steve would also benefit from seeing a dietitian to talk about dietary advice in the short term and achieving better blood glucose control in the long term. A pharmacist could help Steve choose an insulin pump if needed, and a blood glucose monitor for home use. A personal trainer or Athletic Therapist could help Steve start a manageable exercise routine. An endocrinologist is a doctor who is trained to treat patients with diabetes and thyroid conditions, and also works to educate patients on the long-term management of these conditions. A registered dietitian (RD) can work with patients that have Type 1 diabetes, and educate them on meal planning and nutritional requirements. An athletic therapist is trained to treat acute and chronic injuries to the muscles and joints, and can work with patients that are managing chronic conditions including Type 1 diabetes. A pharmacist is a healthcare professional who can educate Type 1 diabetic patients on drug uses, side effects, and potential drug interactions. A family doctor focuses on managing all aspects of primary care for patients. A family doctor can diagnose and treat all types of diseases, including Type 1 diabetes, and can refer you to specialists as needed. A personal trainer can help their clients achieve fitness goals, and will teach you how to exercise safely. A personal trainer can help manage your Type 1 diabetes by developing an appropriate exercise program for your medical condition. A nurse is trained to care for patients with a wide range of conditions including Type 1 diabetes, and can work with your family physician and healthcare team to support you in managing your diabetes. Conversation based on: Type 1 Diabetes " Steve a 24-year-old man with frequent urination "
The case study mentions that Steve showed signs of muscle wasting. 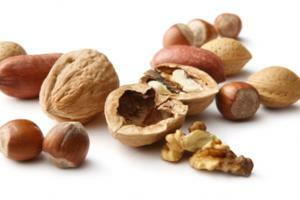 Why would diabetes cause muscle wasting ? Reply to: Type 1 Diabetes " Steve a 24-year-old man with frequent urination "
Type1 diabetics do not produce insulin, which results in the high blood glucose mentioned in the case study. 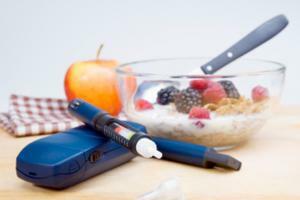 Since glucose requires insulin in order to leave the blood stream and enter cells to be used as energy for the body, a Type1 diabetic uses alternate metabolic pathways to produce the energy they need for daily activities. Once such pathway breaks down muscle proteins, which would account for the muscle wasting Steve is experiencing. I knew that people with diabetes were at risk for circulatory issues with their hands and feet - the feet especially. But didn't know that muscle atrophy was also an issue. @K.Michael - people who have diabetes can have muscle wasting (atrophy) due to the muscles getting shortened and hardened, and also because diabetes can also affect the nerves that supply the extremities (hands and feet) which can contribute to muscle wasting too. 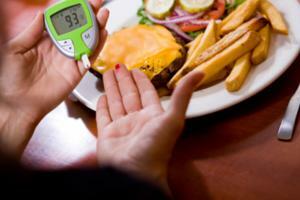 What is the blood level that indicates diabetes? Blood sugar level, I mean. Steve would also benefit from an appointment with a Dietician. From what we have learned with my father that is not the case. It was almost 6 weeks after his diagnosis that he went to see a dietitian. It resulted in 2 visits to the ER with high sugar levels. I'm not sure if his case is the norm but would hope that it isn't. 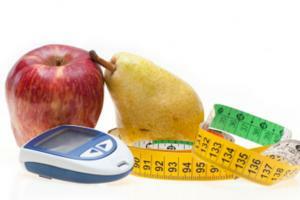 All newly diagnosed diabetic patients should be automatically sent to a nutritionist or dietician. As this diagnosis was made "later in life", could it have been present for some time ? 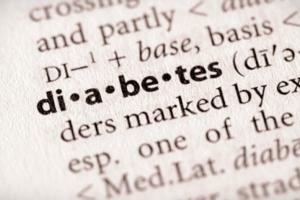 What are the risks of Type 1 Diabetes going undiagnosed ? Did he suspect he had diabetes? How would a young man in the prime of his life (24) only recently develop/or be diagnosed with Type 1 Diabetes? I thought this was something generally discovered in early childhood. Are there early risk factors parents can look for to prevent development of diabetes in their kids when they become adults? Can someone be diagnosed with diabetes at any time? What is the correlation between drinking the sugar-filled drinks lately and Steve's Type 1 Diabetes diagnosis? Does the disease make him crave sugar? Did the sugar cause the Diabetes? Type 1 is not caused by any type of sugar so it must be a craving thing I would think. Good question, Joy. I didn't know that drinking sugar-y drinks could be related to diabetes.